The wind blew and the rain fell, but the blossom burst and the sun flashed its face and we all started to feel very, very spring-like. And doesn't it feel great to be locked in step with the season, as racking up miles here and there and everywhere requires? And is it my imagination or is that mud FAILING TO STICK TO MY BOOTS? 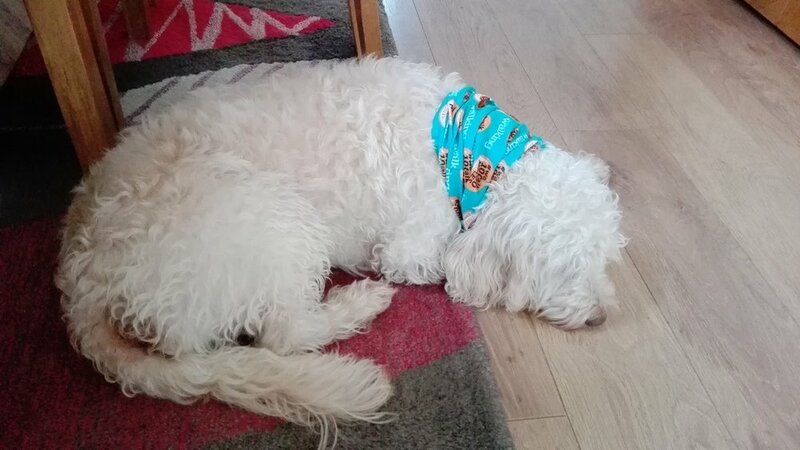 And talking of warm weather and cool, brows wet with rain and sweat, is there a more versatile companion than the #walk1000miles Ruff? I've worn mine so much I actually feel a bit funny without it (and once my wife commanded 'Stop playing with that bl****y thing!'). Other people seem pleased with them too, so if you've recently crossed a milestone (lots of 200ers celebrating in the group!) think about treating yourself. They're under a tenner (and delivery's free), come with a special note from me, feel great to wear and are a great conversation-starter. A huge warm welcome to #walk500miles! Keep scrolling for the video! Don't miss your brilliant month in video at the bottom of the newsletter. But I don't think I'm spoiling anything it if I say LAMBS and WIND. Faced with a day off and no plans 18 months ago, 29-year-old Vickie Maris from Chesterfield got into walking by accident. 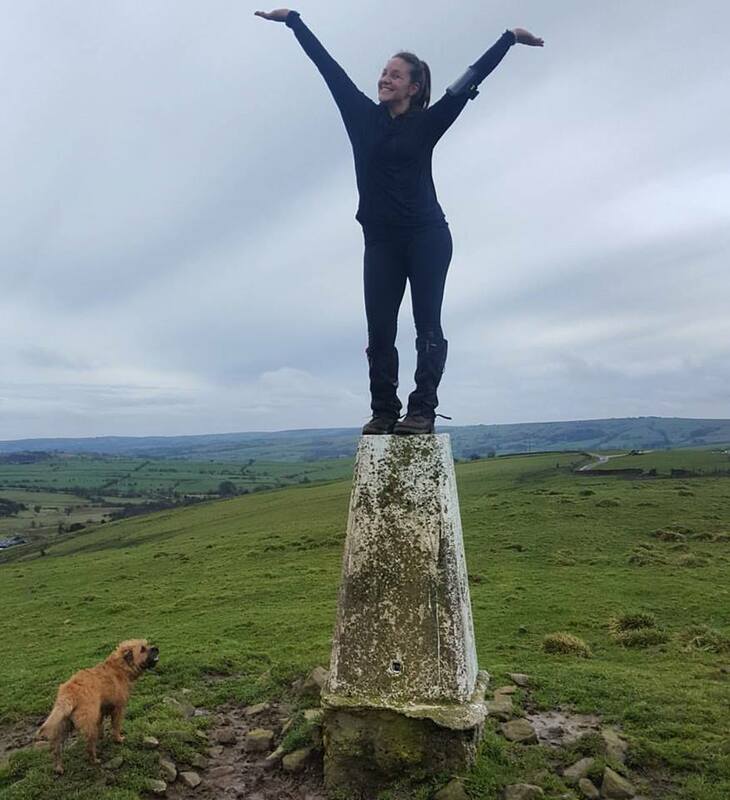 Next came trig-bagging – visiting the sites of the pillars on high ground the Ordnance Survey used to use for surveying – and now she’s tackling #walk1000miles in a whirlwind of walking activity. Catch us up Vickie! The new issue is out and it's WONDERFUL! Have you used your Cotswold outdoor discount yet? This is Sarah who travelled overnight on the ferry from Shetland and made the Cotswold Outdoor store in Aberdeen her first stop. Why the pilgrimage? She needed new boots and wanted to use the 15% every #walk1000miles badge-holder is entitled to this year. "Badge in hand I got fabulous service from this young man – perfectly fitting boots, very knowledgeable and ensured I was 100% happy! Oh and my discount" said Sarah. You can use your badge in any of Cotswold Outdoors' 80 stores or online using the code in the email registered participants will have received with the link to this newsletter (please don't share it with anyone). If you haven't yet got a badge, you can get them for £2 (P&P free) from the #walk1000miles shop any time. But wait! For one month only anyone with a copy of the May issue of Country Walking can get 15% of in-store at Cotswold too! Payday treat: get 10% off all #walk1000miles t-shirts, mugs & hoodIes before 7 April. you've earned it! Click the pic to visit the shop, and enter the code WALK1000 at checkout. (Shop opens in new window). 10 John Cooper was up early: "Dartmouth – catching the sunrise ... couldn't not share these..."
9 The amazing Dougie Dingwall just happened to have a sign to hand....: "Think I'll just park this here for a bit!" 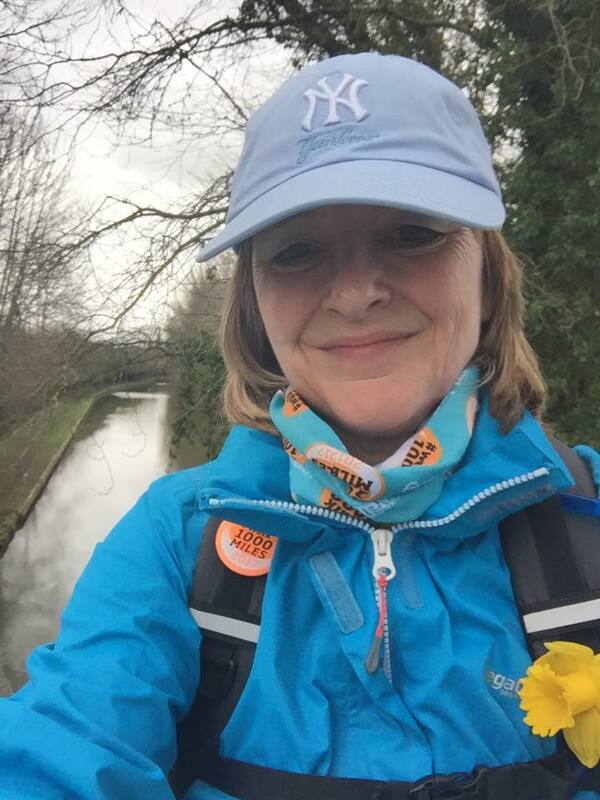 8 Laura Whitaker defied her diagnosis: "When I got diagnosed with MS last year if anyone would have told me that I would walk 300 miles from 1st Jan - 11th March I would of said there was no chance but I've done it!!..." 7 Michelle Wright wanted to say a massive thank you to the group: "Don't ever think you're a message on a post or a notification on my phone..."
6 Sadie Griffiths won't forget this find in a hurry! : "The elephant rock near Evesham today. Made me smile!" 5 Francis Lawler had an extraordinary story of resilience to share: "On new years eve 1998 walking home from the pub I was attacked by four guys who beat me to a inch of my life..."
4 Cherie Henderson passed a major life milestone! 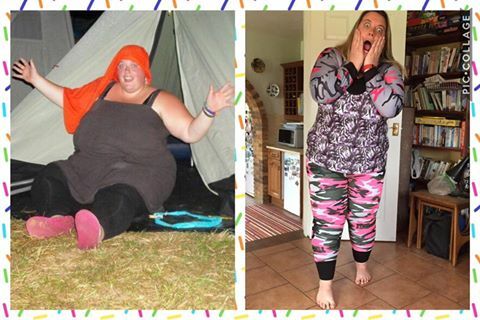 : "3 stone down, 332 miles into my 1000 miles and I've just receieved my first EVER pair of walking trousers (I'm not even sure who I am anymore! 😂) and they fit! So pleased and obviously now I want to go for a walk..."
3 Marie Bishop had this defiant message: "still walking, still losing.. now at 242 miles and 81lbs down :) Loving the warmer weather.. Also Please DO NOT add me to sell your pills and potions, herbalife, shakes, pills or what not. I am not interested. I have done this without an (alleged) magic fix. Eat less, do more. Simples." 2 Derek Coppen introduced himself: "Hi folks I am 80 today and since 2nd January I have managed 217 miles so i'm well on course to complete the 1000 mile journey. and I am feeling a lot fitter because of it. can't wait for the better weather." 1 Sarah Aitchison wanted just to share: "From not being able to walk without crutches to being less than a month away from a 5 mile 40 obstacle mud run!!!" And finally... your brilliant month in video!